Hyde Park City's longtime Public Works Director Mike Grunig, allegedly pointed a gun at three other workers while on the job. This week, a petition began circulating calling for the Hyde Park City to fire it’s longtime Public Works Director, Mike Grunig, who allegedly pointed a gun at three other workers while on the job. Grunig, was recently allowed to return to work with few consequences and two of the alleged victims quit. The incident took place in November, but wasn’t reported until late January. No formal charges were ever filed, but disciplinary action was taken. Grunig appealed to the Hyde Park City Council and got his full salary restored. Crime reporter Amy Macavinta broke the story for the Herald Journal newspaper in Logan. She said her phone has been ringing with tips from community members saying this isn’t the first time Grunig has bullied his subordinates. KUER’s Daysha Eaton talked with Macavinta. 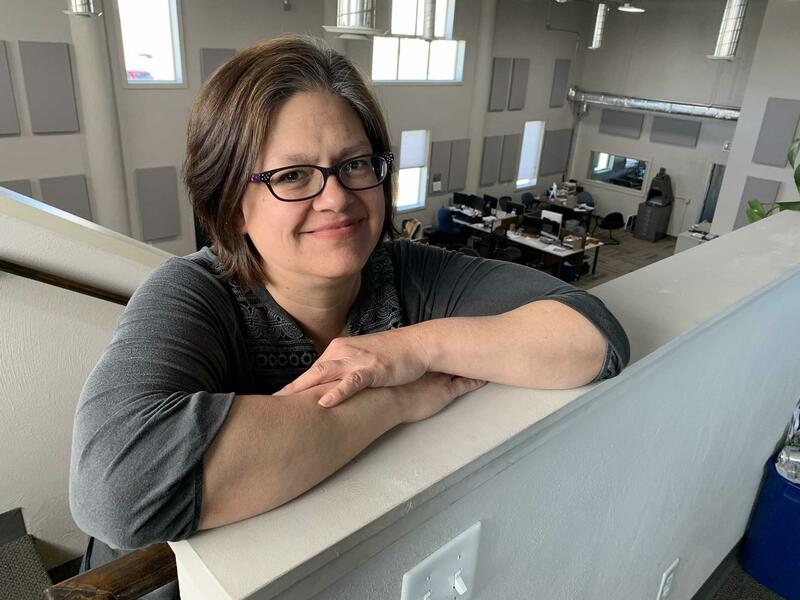 Amy Macavinta is a reporter for the Herald Journal in Logan, Utah. Daysha Eaton: I know this is a complicated story, but tell me the basics. Amy Macavinta: There were three employees in this meeting: Justin Bodrero, Kolby Christiansen and Mark Johnson. During this meeting, Mike, the public works director, made this off-handed remark about ‘Wouldn't Justin look good with a green dot on his chest?’ And he said that as he pulled a gun out of his pocket and he pointed it at Justin — at his chest. Then he moved that laser from his chest to his groin, and then to Colby’s chest, and then to Mark's chest. DE: So are these just allegations at this point? Or was there an investigation and he admitted to doing this? I just want to be clear. AM: He hasn't denied it that I'm aware of, but he has also indicated that the gun was unloaded and he kind of did it in jest — like he thought it was funny. The individuals who were involved were really disturbed by what happened. They're all avid gun users. They shoot. They hunt. A couple of them work part-time at the gun counter and one of our local stores here, so they're very familiar with guns. But they were not familiar with the sensation of having one pointed at you. So they didn't report it right away. 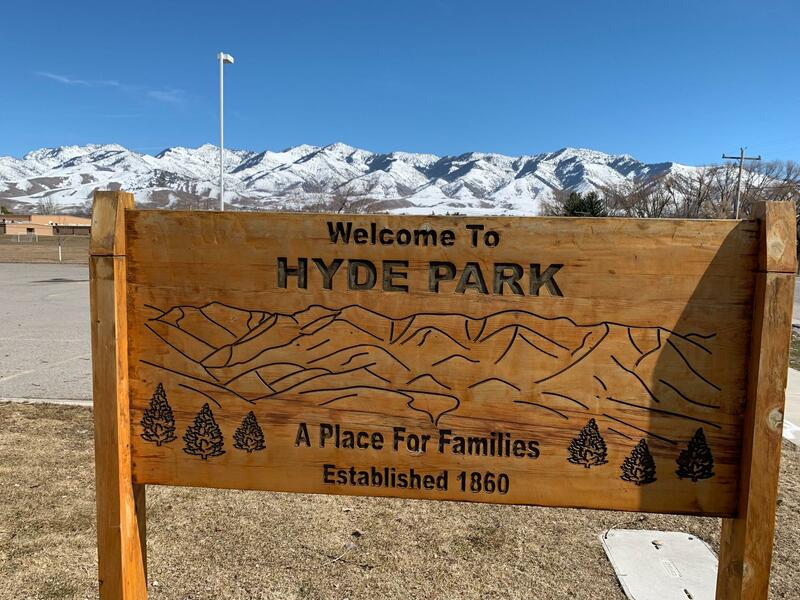 Hyde Park is in Utah's Cache Valley, north of Logan, Utah. DE: Why would the city allow this guy to go back to work? And why were the employees hesitant to report this? AM: They tell me that he has a very, very long history of bullying type behavior, and they felt like nothing had been done in the past and that nothing would be done now. So they were cautious about reporting it. They were worried that if they did report it, there might be some kind of retaliation against them — that they might lose their jobs, or that he would make their jobs more difficult. However, they became just more and more anxious and more and more upset. So, at the end of January they finally reported this to the H.R. department at the city who then informed the mayor. The mayor issued some sanctions against him. She demoted him. That demotion came with a cut in pay, and then also the reprimand that was involved. Mike then took that to the city council and appealed her decision. DE: And now there are some allegations that Grunig had friends in high places who may have helped him to retain his job. Tell me about that. AM: So, one of the individuals on the City Council. He is apparently Mike Grunig’s son-in-law. And then, from what I understand, Grunig is an active member of the LDS church and he has in the past served as a bishop. DE: And so, he went back to work. And two of these employees who were threatened by him, left. AM: Yes. And, in short, these gentlemen were told that there was really nothing the city could do. And with that they just did not feel safe returning to work.